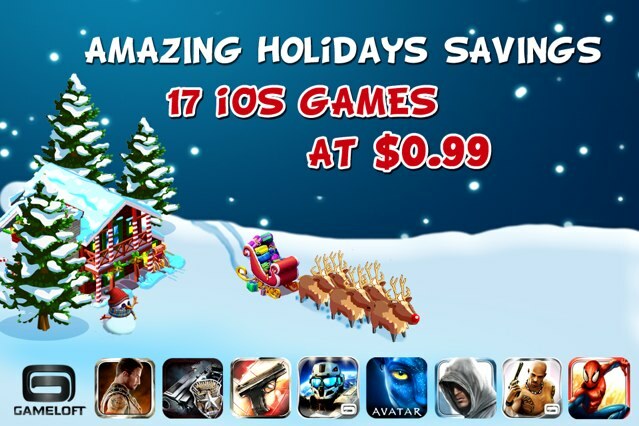 Gameloft and Rockstar games have joined Electronic Arts to offer huge discounts on their iPhone and iPad games as part of their holiday sale promotions. Gameloft is offering a number of their iPhone and iPad games for $0.99, while Rockstar Games is offering 33% - 40% discount on their games. Everybody is, its like Thanksgiving. Get install0us....how bout that. Free.99 Say it!